Nick Gentry is a British artist, concerned with the use of contributed artefacts and materials. 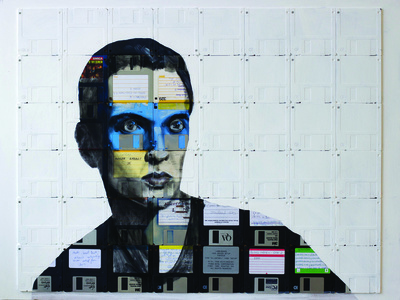 His works explore the development of consumerism, technology, identity and cyberculture in society. 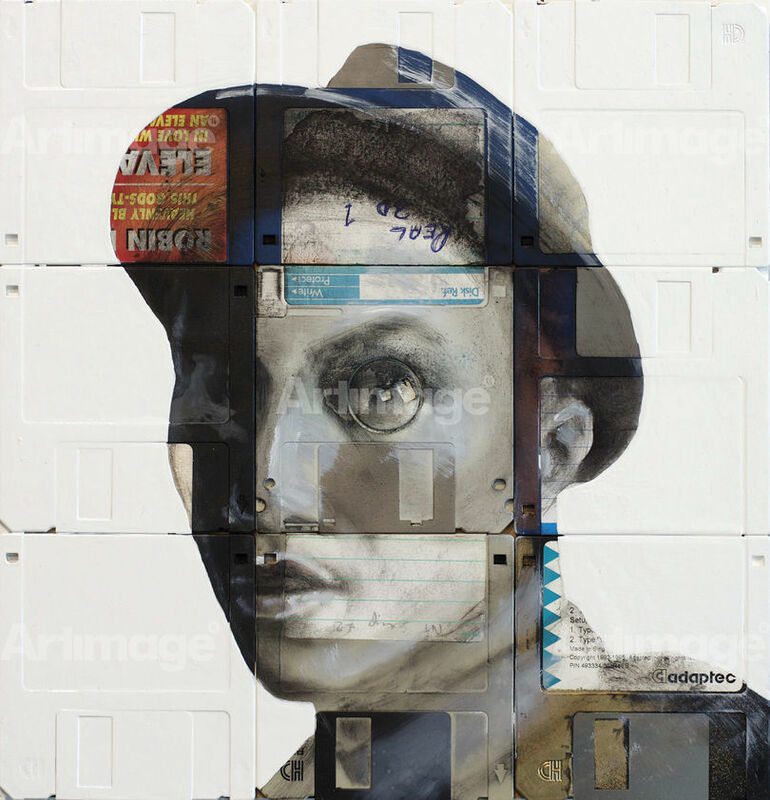 Growing up in St Albans, Gentry attended the Liverpool College of Art before going on to graduate from Central Saint Martins in 2006. 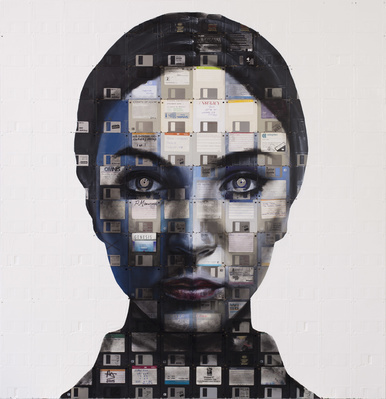 He depicts the human figure using recycled digital materials to investigate how society integrates with technology, and the boundaries of reality and illusion. 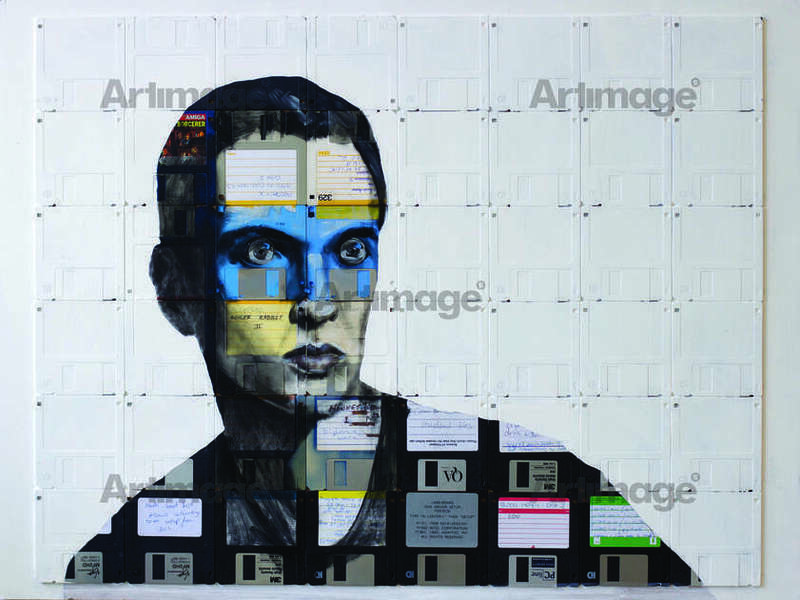 He often works with recycled, obsolete objects including 35mm film negatives, VHS cassettes, x-ray prints and floppy disks. Gentry questions the fundamental relationship between the human being and both our created world and what we call reality. 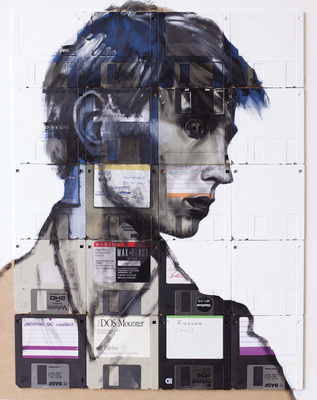 His works have been exhibited widely both nationally and internationally. In 2015, Gentry was commissioned by the Barbican Centre to create an artwork to raise funds for Cancer Research UK. 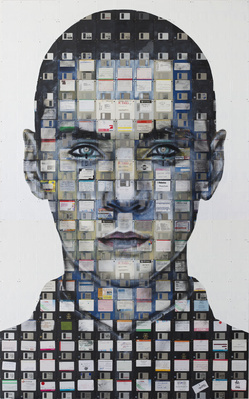 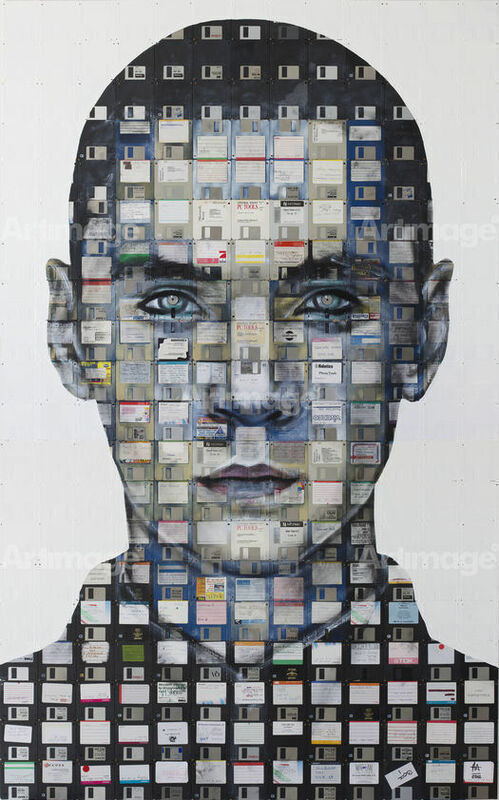 Nick Gentry lives and works in London.